Bet all of us wanted to live paw-sitive life, who doesnt? Bet most of us have heard about collagen, what is the goodness of collagen through reading but I am very sure not many have tried collagen because too lazy and think that young people does'nt need it. This is totally wrong, anyone at any age should start taking collagen, the supplement for our body. 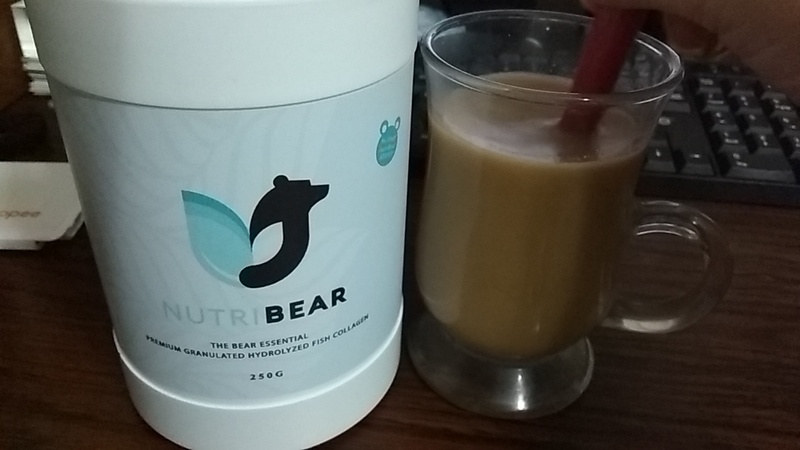 There are many collagen in the market from famous brand to less famous too but most of the collagen always in form of a drink but this Hydrolyzed Fish Collagen by Nutri Bear is made as granulated where you can add them in my favorite coffee or any kind of your favorite drink. It dissolve very fast too! I mix 1 scoop into my favorite teh tarik or sometimes my homemade nescafe, stir and drink. The taste? is superb and most importantly..there is no smell. I just love it! This Bear Essential collagen supplements is so good and it is im-paw-sible to imagine life without them and the un-bear-lievable result with this Premium Granulated Hydrolyzed Fish Collagen when you consume it daily to ensure the following for your body. Soft reminder from me! This is a supplement like the multivitamins and not magical pill or instant noodles ok! Remember that you body is your priceless possession, so take care of it. bagus la kolagen mcm ni sbb boleh bancuh dgn minuman kegemaran..somekollagen rasa tak sedap tapi kalau plain kollagen macam ni bagus..
mudah jer nak buat..masukkan dalam jus pun ok..
Ala.. ada kolegen.. tak leh nak cuba..